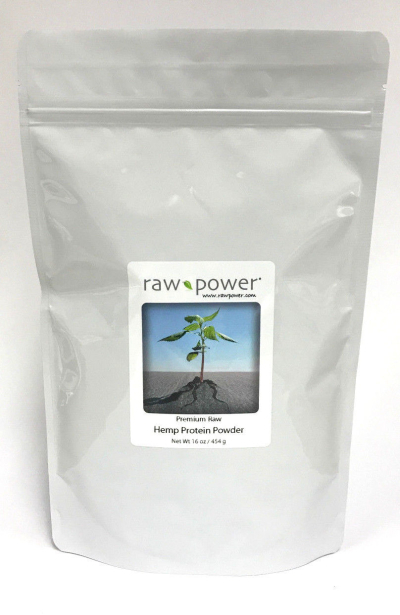 Hemp protein powder is a whole food protein powder rich in complete protein (containing 50% protein) and beneficial branch chain amino acids. It is made from raw, organic, shelled hemp seeds, which have the most complete edible and usable protein in the vegetable kingdom. This highly digestible powder contains a good balance of Omega 3 and Omega 6 Essential Fatty Acids. It has a yummy, nutty flavor. Add to your salad dressings, sprinkle on your salads, add to your smoothies or shakes, add to your green juice drinks and green smoothies. 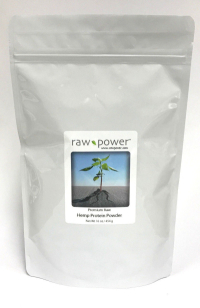 Note: Hemp Protein Powder is one of the main ingredients in Thor's Raw Power Protein Superfood blends (items #0002, 0003, 0004, 0005).